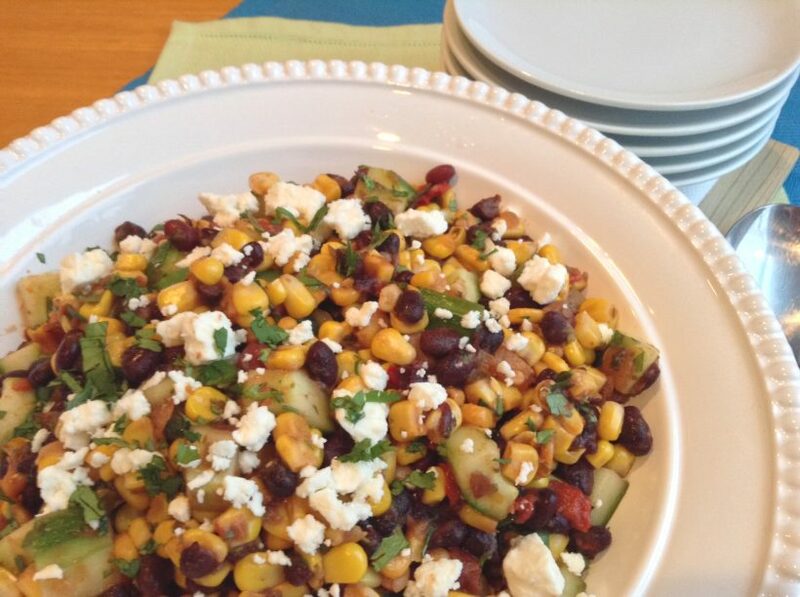 This crowd-pleasing black bean salad is perfect for a light lunch or a bright and festive side dish. Add 2 Tbsp. cilantro, cucumber, black beans, corn, S&F Texas Caviar Salsa, lime juice, oil and kosher salt to a large mixing bowl. Toss well to combine. This salad can be made ahead and refrigerated until needed. Before serving, stir well. Transfer salad to a serving bowl and garnish with feta and remaining cilantro.